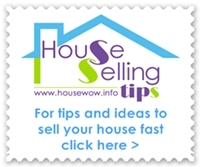 Local Estate Agents on high streets across the UK offer a range of house selling services. When selling your home it's vital to find which local Estate Agent can offer the the best Estate Agent service for your individual property sale. A local geographical area may have a large number of Estate Agents with which to compare their professional services. Some sellers are impressed by the Agent with the largest numbers of for sale boards in their local area. However, this may not reveal a high number of property owners choosing to market their home with that Agent. Instead it might be an indication of slow or lower property sales. Your local Estate Agent with high numbers of Estate Agent boards might mean property sticking on books longer and may be an indication that the Agent has property which doesn't sell quickly due to them valuing property too highly! It might be that the Agent doesn't remove for sale boards quickly. In busy locations a for sale board is their best, low cost advertisement. Ask the local Estate Agents about their property sales figures. 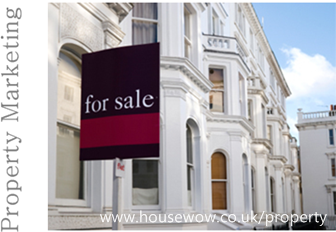 Agents with lots of property with reduced prices or 'new price' may mean that they over-valued them to start with. 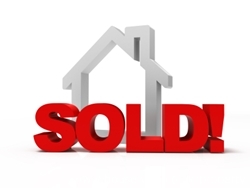 However, take into consideration that an Estate Agent will often market at the owner's suggested price initially. Compare local Estate Agents to find which Agent best suits your requirements. An Agent will always treat sellers with the best of customer care, at least initially. You are the one who pays their wages. However, do they have the same standard of customer care for the potential buyers? Do they send mailings and emails regularly? Do they follow up quickly? Are they attentive to customers in the showroom and answer telephone calls quickly? Or are they more concerned with sellers and acquiring new instructions? These are issues to consider when comparing Estate Agents. How do they look after YOU as a buyer (before you list a property for sale with them)? The potential buyers' experience - is essential. Some Estate Agents are not efficient with buyers and your property may suffer lack of marketing exposure and opportunity at their hands. Which online advertising does the Estate Agent use? If only their own web site it is unlikely to be good enough. Are the websites they use quick to use and easy to search for property. Rightmove.co.uk is successful because it is easy to use and the searches are very user friendly. Check out whether your preferred Estate Agent has online advantage because, if not, you will be missing out on a large proportion of viewers who ONLY search online. The property particulars that the Estate Agent produces are the first hook to attract viewings. Compare different agents' property specs and decide which will give the best first impression; which is vital to get viewers through your front door. Some Agents refuse to use wide angled lens photography, saying that it does not comply with The Property Mis-descriptions Act, however some Agents do use wide angled lens leading us to believe it may not be an essential requirement. If your photos are not good enough then ask for them to be retaken. A bright sunny day can be good for external photos but can create unsightly shadows inside rooms. Check the draft property particulars carefully for accurate details and request amendments early. How accessible are the office and staff? Some Agents don't open on Sundays at all, others do. Check and compare because this may be important to viewers and will be an important aspect of your own liaison with the Agent. Online Estate Agents are often accessible out of usual office hours and have a log in area for vendors and viewers to make arrangements and give feedback. The Estate Agent will offer some form of Newspaper advertising but don't expect this to be every week. Make sure that you know the frequency of advertising and if you will be paying extra for it. Additional costs for advertising are not really on as most Agents admit that the newspaper advertising procures very few enquiries and most enquiries now come from the internet marketing. Their newspaper ads are to ensure customer familiarity and their own advertising to sellers.